Miti Godawat another feather to udaipur’s cap, shares her experience and success mantra with UdaipurBlog. UB : As everybody is aware of your schooling from The Study,udaipur. Our readers are eager to know that after 12th what was your next step ? Miti : After my 12th I gave few competitive exams just to know and gain experience on how things are like, I even got through IIT but I knew my aim and was totally different. I started looking for flying schools in abroad. I had many options like Australia,USA, New Zealand but I opted for Canada because of the quality and effective training it offers and also the exposure one gets there. There you have value of life. I even had to do two medicals in India namely class 2 and class 1 which I did in Mumbai and Delhi respectively. Meanwhile I chose Canada and applied for it. After completing all the government and personal formalities I flew for Canada on 19 July, 2009 as soon as I turned 17. UB : What inspired you to take up this field? 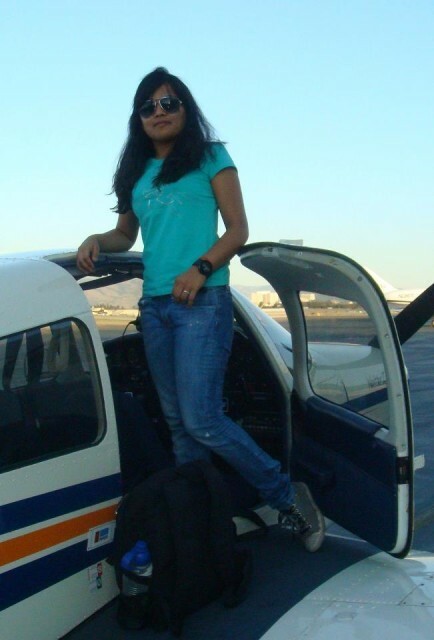 Miti : Becoming a pilot was my dad’s dream, this was the first thing that came up into his mind when he saw me playing with planes rather than Barbie dolls. As a child I was always fascinated by planes, whenever I use to travel, cockpit was the first place I use to hit, I loved the technology and the glorious uniform they put on with due respect. I even tried for air force but my height issue caught me back. UB : What changes you find in your personality? Miti : The ‘Miti’ which I was before has totally been reformed after being there for almost 2 and a half years. My confidence has boosted up by leaps and bounds, I am totally independent and carefree now. My perspective for a lot of things has totally changed in a positive manner. UB : Any challenge you can say the most dangerous one when you felt ‘cold feet’? Miti : I had quiet few challenges but trust me I never felt cold feet till date because of the confidence and faith in blessings and prayers.There have been many incidences – Once I had to make an emergency landing, once was stuck up in bad weather and had to divert to another airport. Once I was approaching towards the land and another aircraft took off before me it was totally unnoticed and there was hardly any vertical separation between us. All these incidences made me more confident. I never had fear of crashing because I trusted my skills, if it is not for any airport I will surely make a hard landing in a field because we are trained the same way to handle the worst case scenarios. UB: How was your stay in Canada? Miti : My stay in Canada was great, the things I got to learn there I doubt I would have ever got anywhere else. The fast life out there made me faster. I enjoyed the cuisines, Canadian culture and the festivals. UB : What are your plans for the near future? How are you planning to carry on your professional life? Miti : As of now I am working on the conversion of Canadian to Indian license. My plan is to get more experiences on different type of air arts and go ahead for a job . UB: Who is your idol ? What effect did he/she has on your life? Miti: My idols are my parents, grand mom and my best friend as they all in some or other way share same qualities of inspiring people, they believe in giving rather than taking, they believe in hard work, their honesty and dedication towards their work made me praise them. The positive attitude they carry for life is worth a big salute. UB : You made ‘Udaipur’ proud, you made your Parents and your friends proud. But which was the moment that made YOU feel proud? Miti : The best moment was when I heard ” Congratulations Captain You Did it” and second best was giving this surprise to my dear ones as none of them knew I had my exam. These small yet priceless moments were beyond imagination. UB : Any message you would like to convey to Udaipurites, especially girls? Miti : Don’t walk in Crowd, make your own identity, you are born to lead your life, it’s not on rent have courage to face situations, never give up and you’ll achieve success and subside those who think girls are born to stay at home. UB : If ‘Miti’ was not a pilot, what would she be ? 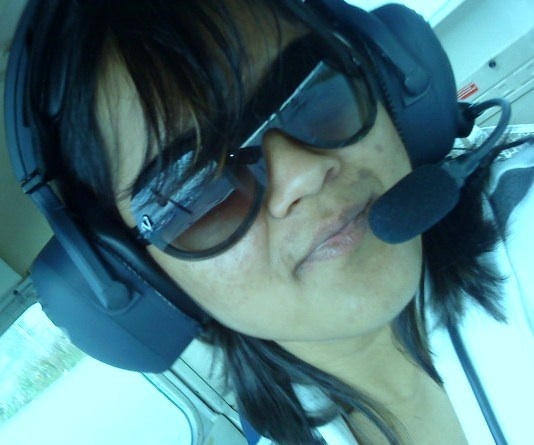 Miti : If I wouldn’t have been a pilot I would have opted for aircraft interior designing or something creative as I love to be creative and enjoy being ‘artisty’. UB : Being a girl you chose this field, a field that would even frighten up men, what do you have to say about it? Miti : Yes I chose and I came up. Being a girl things are different but I would say it’s our own mentality which makes us feel low. I would say don’t think you are a girl or boy just focus on your work and automatically things will work out and if you faith and confidence in yourself nothing can stop you . Miti : You guys came up with an excellent idea, being there using all technology. I used to think even udaipur should have some website in which all the information can be found in seconds and on one page and then I saw this blog. Great job! All information, news and updates are so helpful. This makes me feel home away from home and keeps me updated. Super proud of u captain.. u hav proved it.. uve always held our heads high.. be blessed..
oh wow sir 🙂 am spell bound. Can’t express the gratitude in words. Thank u to infinite undoubtedly am the superly blessed ! !